Lorenzo has been playing piano since he was 5. In his own words, “I knew from an early age that the piano would accompany my entire life, and in particular composition”. His music combines elements of classical music with a tonal contemporary sound. Lorenzo has been composing since early childhood, but it was only when he was 13 that his compositions grew in structure and form, following the thorough study and analysis of the work of the great composers (in particular, Bach and Beethoven) under the supervision of pianist and conductor Emilio Rabaglino. Lorenzo has written over 200 compositions. Most are composed for piano and some are for orchestra or small ensemble. He performs his compositions and teaches in North-West London. Mastery at the piano involves not only being able to play the correct notes at the correct time, but also being able to express feelings, and making a piece of music sound communicative and beautiful. The objective is to develop in each student a comprehensive understanding of music that enables them to play the piano with utmost enjoyment and musicality, while finding their own voices. It is also very important that students become independent learners. This is achieved by teaching them how to listen, evaluate, and make the necessary changes in their own playing. Lorenzo offers private piano tuition in his studio in Edgware (North West London). He takes on students of all ages and abilities, as long as they are keen to learn and prepared to practise between lessons. Why is learning music theory important? Music theory brings meaning to what would otherwise be an anonymous sequence of notes. 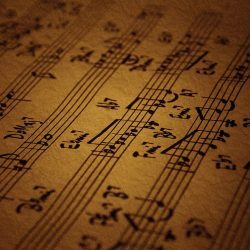 If you understand music, you can analyse works of notable composers, improve your sight reading, memorise any score in a much shorter time and figure out the formal structure of pieces. Knowing music theory will expand your musical horizons and make you a better musician. As many students know, to take ABRSM grades in any instruments above grade 5, one needs to complete grade 5 music theory. Because of this reason, and also due to the fact that theory is often perceived as hard and boring, study of theory is often delayed until too late. It is therefore a good idea to work through music theory grades sequentially, and apply the knowledge gained as the classical pieces are learned. The study of theory should be complementary to any music studies. We run classes and offer individual tuition, as well as make available material which will help prepare for ABRSM (or other boards) theory exams. The Music Aptitude Test (MAT) is a test used by many selective secondary schools to identify a child's musical talent and grant admission to the school. We have been successfully preparing students for MAT for over 10 years, both through teaching and making available sample test materials.